In honor of the start of a new school year, I would like to take this opportunity to talk about a recent experience my wife and my second-grader had while preparing for the first day of school. On the Friday before the first day, my wife took my son, Noah, to his school to put his supplies in his classroom and to meet his teacher. Noah was apprehensive about going into school and meeting his new teacher, even though he had had a great experiences with his kindergarten and first grade teachers. 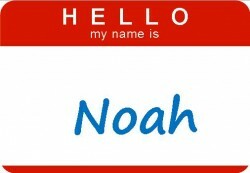 When Noah got to the classroom, the names of all the students in his class were on the door, but there was one name missing – Noah’s. This immediately made him very nervous, but my wife reassured him that it was OK; this was the right room and they would go in and meet the teacher and everything would be fine. When they entered the class the teacher was there, but she made no attempt to come over and greet my wife or Noah. In fact my wife had to make the initial outreach, shaking the teacher’s hand and introducing Noah. My wife questioned Noah’s placement in her class, indicating that they did not see his name on the door with all the other children in the class. The teacher responded simply by saying “it was an oversight,” and then another parent walked in the room with her child and the conversation abruptly ended. My wife then spent the rest of their time there (and much of the rest of the afternoon) reassuring Noah that it was the right class and that his teacher is very excited about him being in her class (although this was not at all evident from their first encounter). In education, as well as most everything else, relationships and first impressions are critical. If you try to build a lasting, beneficial relationship without laying the proper foundation it will often crumble. We all know that it is much easier to get off on the right foot from the start rather than try to salvage a broken relationship later on. A student’s drive to achieve academically is often driven more by the student-teacher relationship than by a fundamental interest in the subject. We can all probably recall an instance in the course of our own educational career when we weren’t particularly interested in or good at a subject, but we had a teacher who gave us the ability to achieve in the face of our own shortcomings. These are the kind of teachers that I, as a parent and an educator, hope become the standard in our nation’s schools. Students surveyed have said, time and again, that teachers who respect their students, show enthusiasm about what they’re teaching and display a positive attitude toward their students make the difference between students being able to excel and students only being able to achieve at an average or sub-par level. Relationships – especially those between students and teachers – are the foundation of a child’s success in school and should not be undervalued. What might have been the impact on Noah (and my wife) if the teacher had made those simple changes? I am confident that my wife would have had a much different conversation with Noah when they got in the car and his stress about the first day of school would have been dramatically reduced. 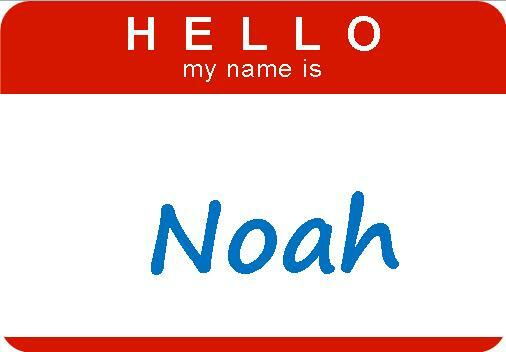 Instead Noah felt diminished in the eyes of his teacher and more stressed than ever about the first day. The teacher missed the boat and it’s obvious that she simply didn’t get it. And now as we think about out son spending 180 days this year with this teacher, it makes us wonder: What else doesn’t she get? Emotional Intelligence is underdeveloped and devalued in our training of educators and school leaders, which from this instance is painfully obvious. Until we begin to view students as customers in our schools, our nation’s children will keep getting the short end of the stick by not getting everything they can out of their education, whether they’re in kindergarten or college. Relationships matter and we, as educators, should never forget it.